I was reorganizing the pantry last week and came across some canned clams. I have decided I am not grocery shopping again for any staples until we go through what we already have. 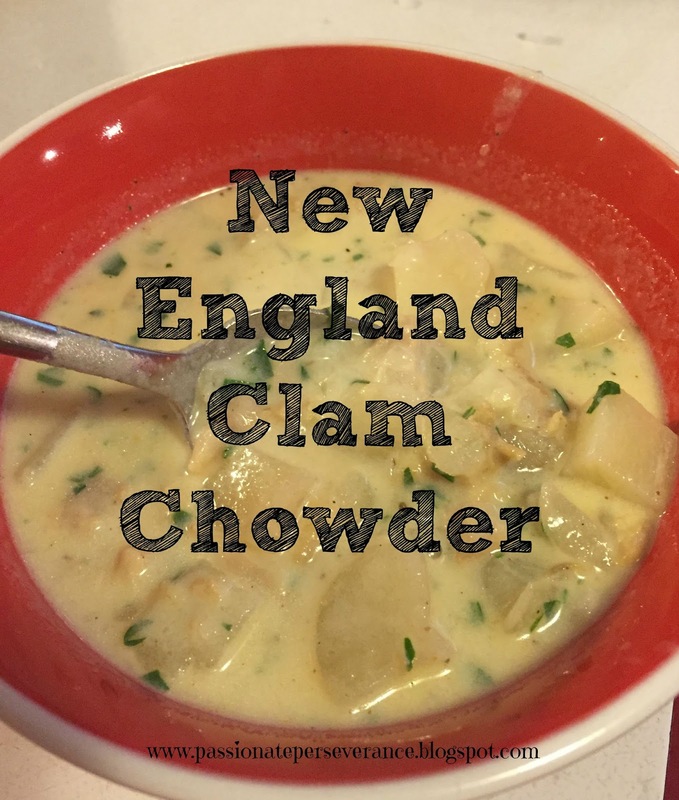 Since I needed something yummy for our meatless Friday meal, New Englans Clam Chowder seemed like the perfect choice. 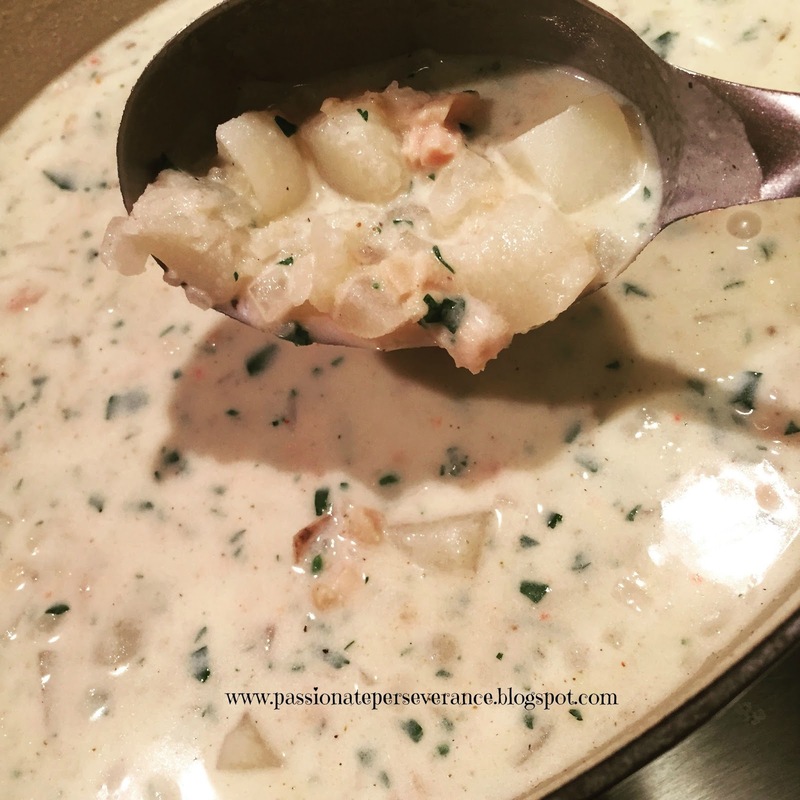 Unfortunately I have never made it before so after I did a little research online, I figured out it was a pretty basic soup recipe with potatoes, broth, cream and clams. So I came up with my version below. It was really quite delish and only took about 30 minutes to make from start to finish. That‘s my kind of Friday meal. 1. place a large soup pot over medium low heat and add add bacon grease. When melted add onions and cook unitl soft and translucent. 2. add the potatoes and clam juices and bring to a boil. Reduce the heat to low and simmer gently, partially covered until the potatoes are just tender, 8 to 10 minutes. Add the clams until warmed through. 4. Meanwhile in a small saucepan, heat the half-and-half just up to the simmering point, stir the hot half-and-half into the chowder. Do not allow to boil. 5. Taste for seasoning; add chopped parsley and salt (only if necessary) and pepper to taste.